An on/off magnetic work-holding angle with 80 lb. 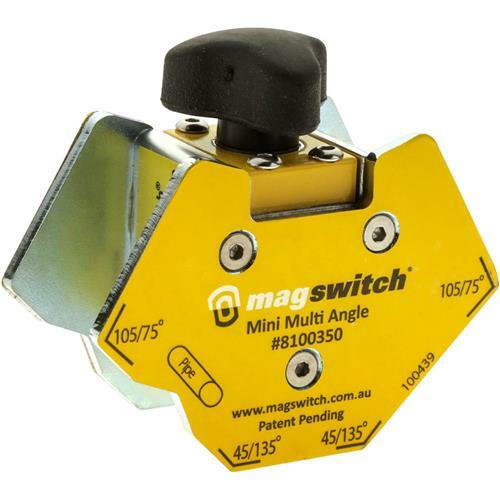 (36 kg) of hold force from Magswitch Technology. 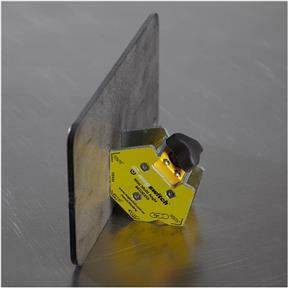 Angles for fast 90 and 45 degree angles for small pieces that accommodates flat or pipe, allowing for precise placement. Allows for super fast set-ups and instant work-holding and it stays clean; when the magnet is off, debris falls right off.